The notion and use of musical cryptograms have a long history, with composers using a sequence of notes referring to letters, the B-A-C-H theme being perhaps the best known. In suggesting I compose some work using a cryptogram of my own name, a suggestion I set aside, I respond by using another. This work is based on the cryptogram of that name, such as is the C-H-A-G-A-L-L theme which is found in The Jerusalem Windows . The theme is stated at the outset in parallel four-notes chords, and then at the allegretto as a jaunty, somewhat quixotic theme. Variations follow, across the upper range of the keyboard especially. 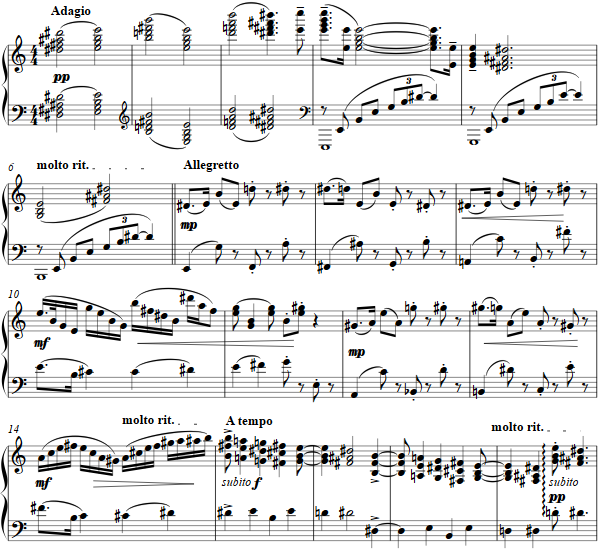 The fugue is based on the same six notes, this time in 6/8 meter, repeated twice with octave displacement. The answer is in the formal dominant relationship to the tonic, and thereafter these harmonic domains dominate though the shape of the theme urges some distant relationships.